Riding you dirt bike in the summer requires extra care and precaution. The following advice can help you stay safe when heading out to ride the trails and rough roads this summer. As if riding your dirt bike wasn´t enough of a thrill, the summer adds another obstacle to this sport: the heat. No matter where you head out to ride this summer, whether it be on a trail, the desert, or the mountains the temperatures you need to be prepared to face higher temperatures. These tips can help you get ready for these changes. You already know that maintaining your dirt bike is crucial to keep it in good conditions and staying safe, but the summer conditions make maintenance even more vital. The heat is one of the factors that can lead your dirt bike to desperately need more care. For one, the fluids in your bike are more likely to wear out fast, not to mention that all components are more prone to breakdown in the intense summer conditions. Just like you need to stay hydrated so does your engine. The fluids and motor oil in your dirt bike need to be kept in check in order to prevent engine failure. All fluids must be kept at a good level and in great conditions. This means that you should ensure that your dirt bike has enough coolant and that the radiator is working in optimum conditions. Keep a bottle of coolant handy in case of any overheating. Also, keep the brake fluid and the transmission fluid in check and ensure that there are no leaks or rapid decreases in fluid levels. Stay vigilant at all times especially when riding out for long hours in the middle of the heat. Some dirt bikes require the transmission oil to be changed every 7 hours of use but not all models are the same so verify in your owner´s manual and check the levels closely during the summer. Transmission fluid and brake fluid levels should not decrease excessively but the heat can cause some evaporation so make sure you still stay cautious. For the best results use AMSOIL´s Synthetic Dirt Bike Transmission Fluid. The intense summer conditions place a greater demand on your dirt bike and the engine so you need to make sure it stays protected. Use only top quality products and synthetic oil so that your engine stays properly lubricated. 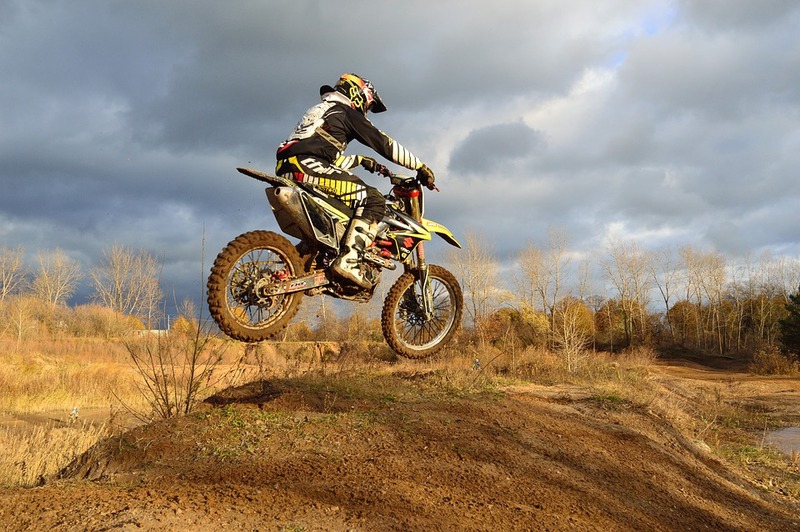 AMSOIL synthetic dirt bike oil not only prevents friction and provides coverage it also actively assists in helping the engine maintain a safe temperature. Look for the dirt bike synthetic oil you need in the AMSOIL online catalog or call (321) 230-6958 for direct assistance from Ken Reaser Enterprises. Your hydration needs. Your dirt bike is important but even more important is you so make sure that you also take care of your hydration needs. Drink water often and ask so that it can continue to function properly and withstand the higher temperatures. Dirt bike engines need to fight off a tremendous amount of heat and carry hydration packs. Wear the right gear. Always make sure you are wearing the proper gear but in the summer heat, you need to use materials that are protective and fresh. You may need to shop around for specific summer gear and helmets so that you are more comfortable. Try out new gear on short trips before using it in longer riding experiences. Take breaks. Always be precautions and immediately pull over if you start feeling unusually hot or dizzy. Do not wait for more intense signs or until you really aren´t feeling well to take a break. It is always best to be safe rather than sorry. In the summer weather, it is always recommended that you take breaks every so often. Even if you just take a few quick 5-minute breaks you will notice that this makes a big difference. Cool down, take off your helmet, drink cold water and relax for a few minutes. Always do a quick but thorough check of all the components of your bike before heading out. Staying on top of oil checks and other maintenance tasks are important in order to make your dirt bike last and to stay safe. AMSOIL offers all the best products for your dirt bike care from synthetic oil to synthetic suspension fluid. Contact Ken Reaser Enterprises at (321) 230-6958 today and let them help you take proper care of your dirt bike this summer.